This Avocado, Cucumber, & Feta Salad pairs creamy avocadoes with crunchy cucumbers and tangy feta cheese. Sounds like a taste of summer to me! This salad is a quick fix for lunch or paired with dinner! This is not a recipe I fix often because I am the only one that likes it. But, hey, that just means more for me! 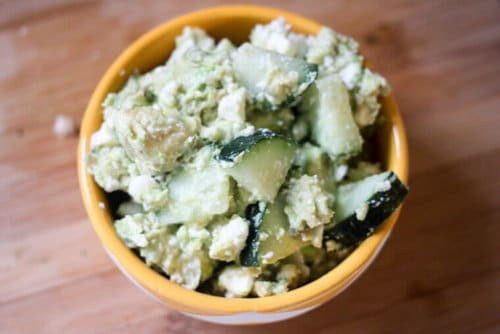 I love the pairing of the soft avocado with the crunch of the cucumbers, add in the tang of the feta cheese and oh my! Yes, please! Since this salad is made with avocados you can’t really make it too much in advance since avocados turn brown so quickly. Unless there is a trick I don’t know about. I usually just make this for one since I’m the only one that likes it. The recipe below reflects that so if you want to make it for a larger crown you’ll need to adjust the recipe for that. What is your favorite salad for the summer? Tell me in the comments below ↓. 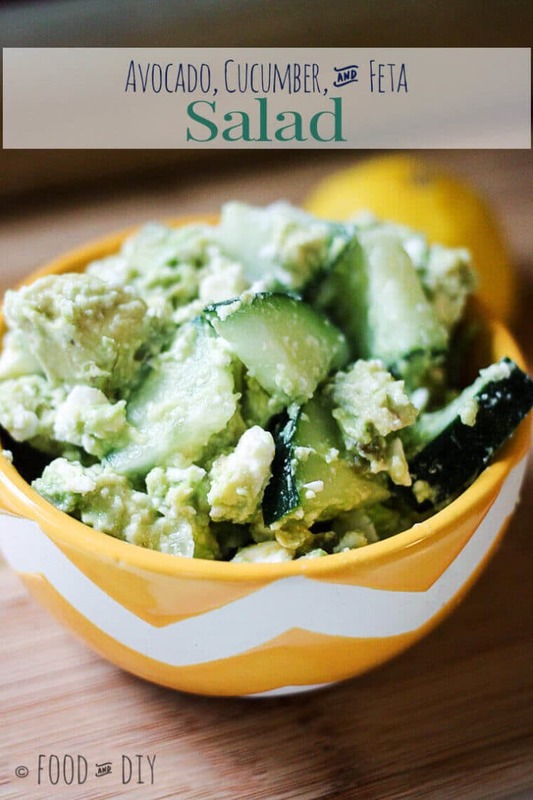 This Avocado, Cucumber, & Feta Salad pairs creamy avocados with crunchy cucumbers and tangy feta cheese. Sounds like a taste of summer to me! 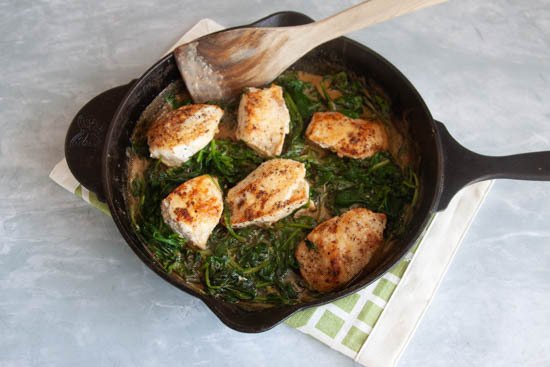 This salad is a quick fix for lunch or paired with dinner! Wash the cucumber, slice and dice. Pit and cube the avocado. Squeeze 1/2 a lemon over the avocados and cucumber. Add the feta cheese, toss the salad together. The amounts in this recipe are to serve one. If you want to serve this salad with dinner or for a larger crown adjust the amounts accordingly. Simply click the share button of your choice over on the left ← or at the bottom of this post ↓.